A PONTELAND man who has devoted many years of service to his yachting club received a prestigious accolade from royalty. Roy Twelves was honoured for his volunteer work with the Royal Yachting Association (RYA) Lifetime Commitment Award at a ceremony in London. He joined Sunderland Yacht Club 38 years ago and for about 35 of them he has been involved in an organisational capacity. The Darras Hall resident progressed from being in charge of the moorings to take up the position of Commodore in 1983, which he held for 12 years. Mr Twelves then moved to his current role of President in 1995. The award was presented by Princess Anne – President of the RYA. "The club nominated me but I had no idea about the award until I was sent a letter saying I was going to receive it in London," he said. "It was a great surprise and it was lovely to meet Princess Anne and talk about sailing. "I had dabbled about in small dinghies after I moved to Ponteland in 1966, but when I bought a boat I thought it was sensible to join a yacht club and I chose Sunderland as I was works director of a large forge in the Pallion area of Sunderland. "The Commodore is the club's senior officer and the most important thing I was involved in during my time in the role was getting a new base and clubhouse in Roker in the 1990s. This involved long negotiations with the Tyne & Wear Development Corporation and we were able to get ownership of the freehold of the site as well as the premises themselves." 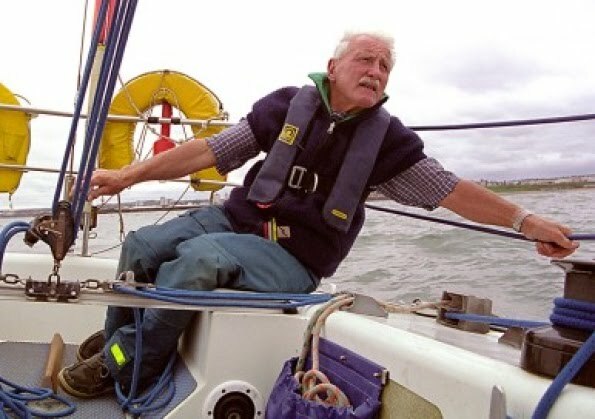 Mr Twelves still enjoys sailing and the 77-year-old and his crew won three trophies in the past season. "There is a bit of banter at the club because our combined age is more than 300, but we are still a force to be reckoned with, especially in heavy weather," he added. "The North East is a great place for sailing and Princess Anne said how useful it must be that the region is cold and windy. At our regatta in the summer, we get a lot of clubs – from as far south as Scarborough and as far north as the Royal Northumberland in Blyth and Coquet at Amble."